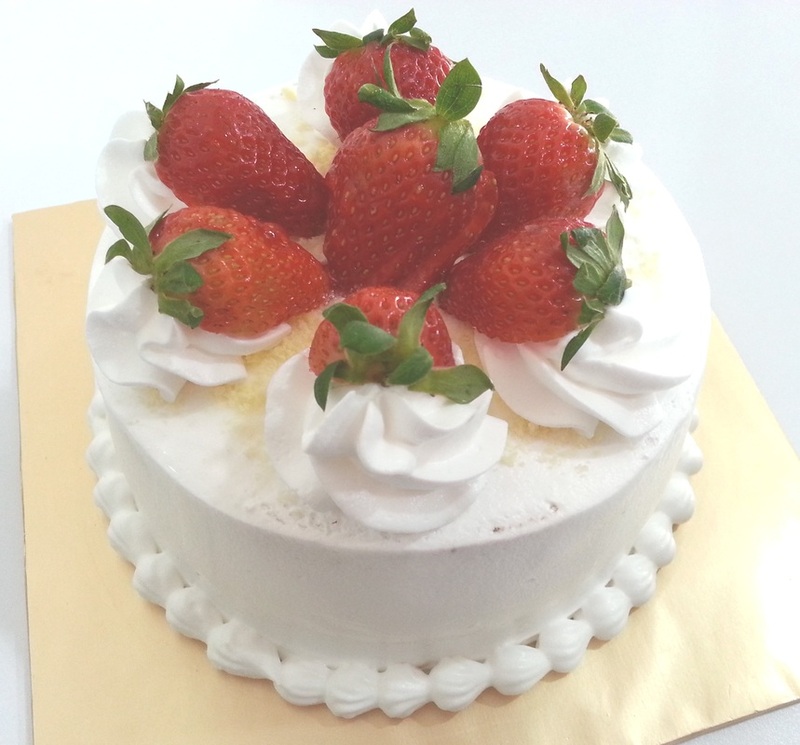 Our cream cakes are light, soft, provide a natural, wholesome flavour. 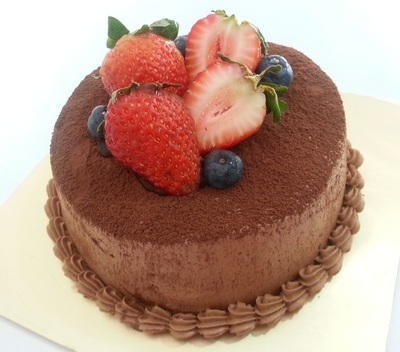 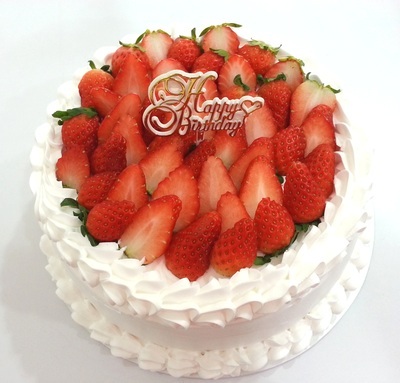 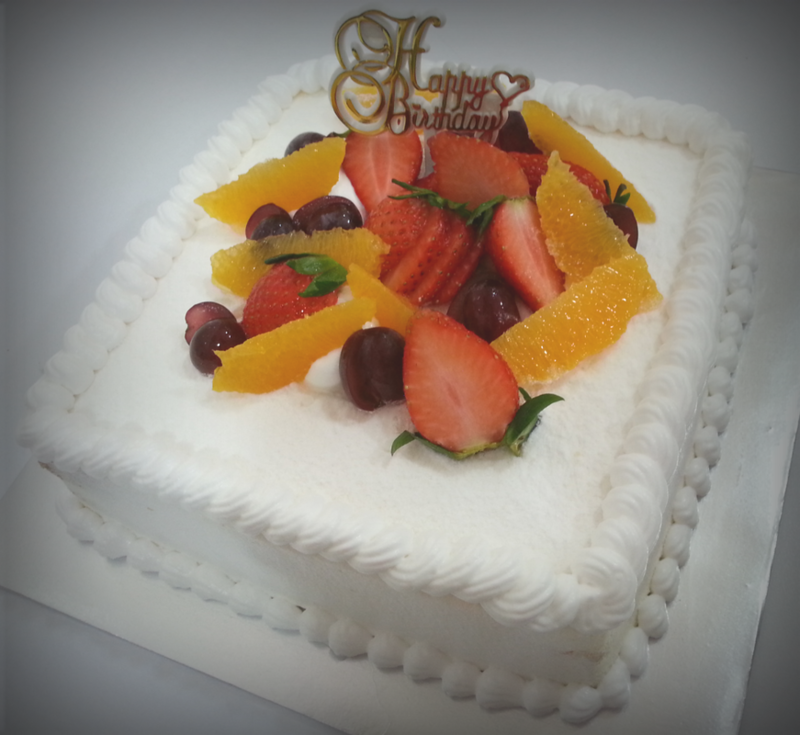 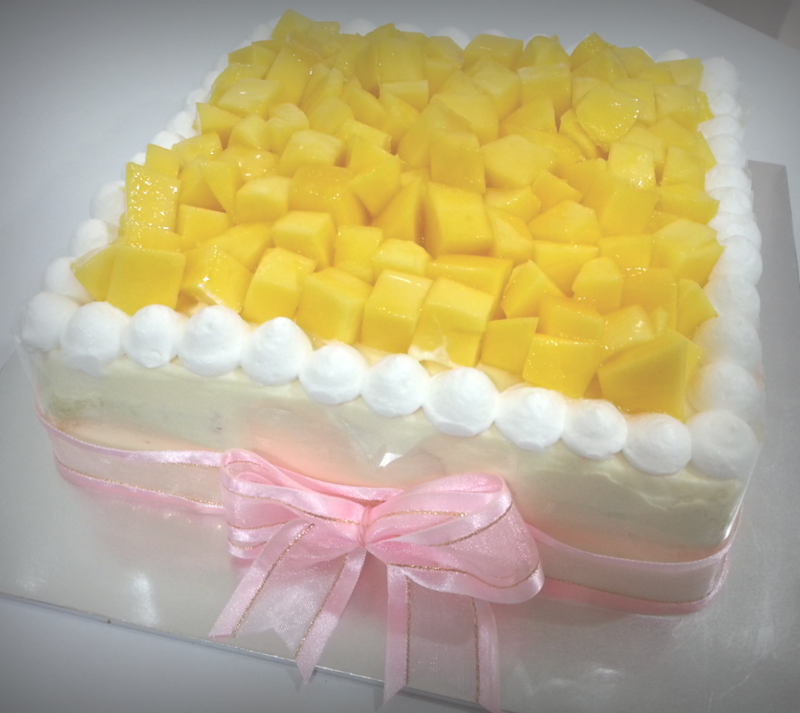 We use fresh fruits & natural ingredients in all our cakes and is only baked & prepared when you order so you can guarantee a fresh new cake from us. 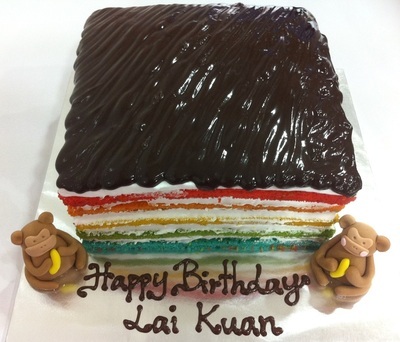 This eye-catching rainbow cake are famous for birthday parties, celebrations or just to fulfill your taste buds! It is made up of 5 layers of cake sponge (red, orange, yellow, green & blue colour) sandwiched between fresh whipped cream (filled with fresh strawberries and puree-optional), top coated with Belgian dark chocolate ganache. 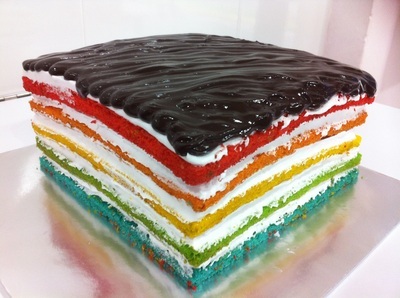 Something to share: It takes the chef about 2 hours to complete this irresistible treat...! 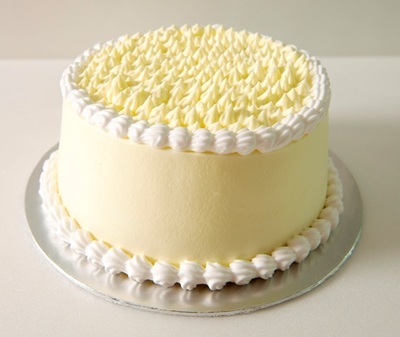 For more information on our available whole cake flavours, click here to download the catalogue. 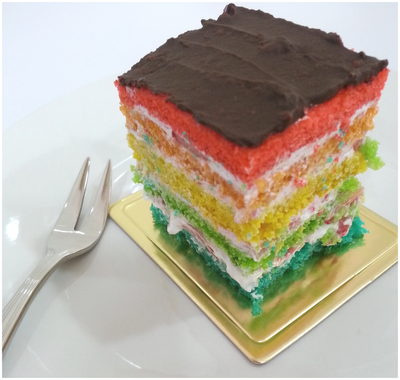 To place an order, drop us an email to petitesweetshouse@gmail.com or fill in the enquiry form below.